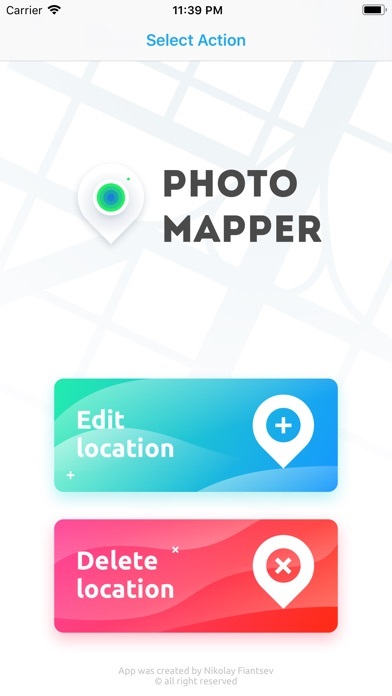 "PhotoMapper: GPS EXIF Editor" is an essential app for anyone who wants to keep their iOS Photo library organized by places where photos were taken. 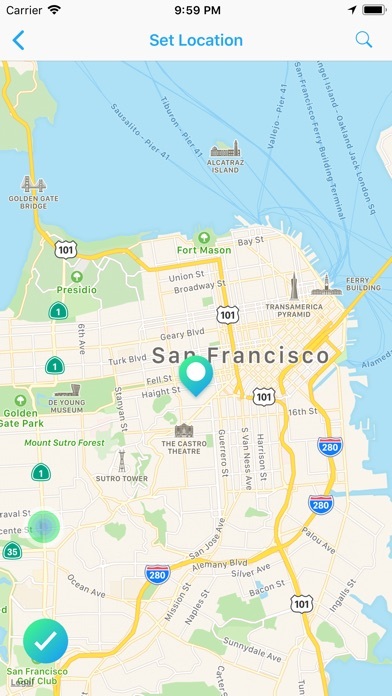 All photographers who store photos in their iOS Photos library and use geo-tags for systematization could be upset with lost geo-tag information due to using DSLRs or getting these photos from friends. Just add this info with our app and keep your geo-tag system in a consistent state. Also "PhotoMapper: GPS EXIF Editor" is useful for people who want to protect their personal privacy. When you share your photos on social networks or send via email, the geo location information - where the photo was taken, is shared as well. 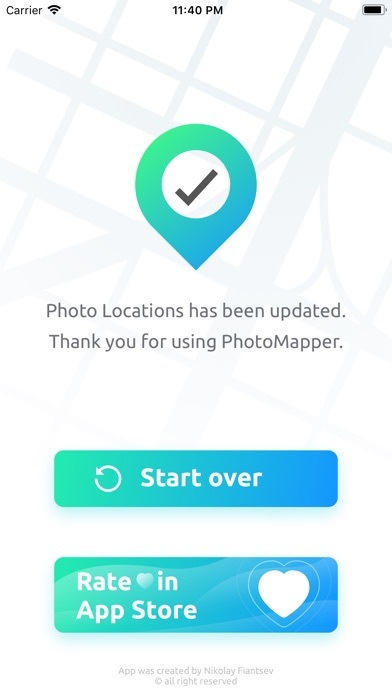 If you are concerned about your personal privacy and would like to share photos without any mark of location in EXIF metadata PhotoMapper is able to remove it. No in-app purchases, it's a universal app, which you buy once by and can use on all your iOS devices (iPhone, iPad, iPod Touch). Easily add or modify location info of photos in your iOS Photo library with simple placing pin on map. Never missed this info if you use DSLR or by any other reason. 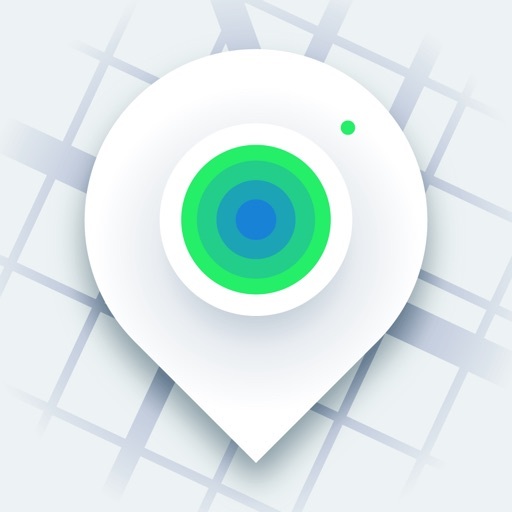 Keep the original photo for you and create a copy without any mark of the GPS location info (Geotagging) in EXIF metadata for sharing with reinforce of your privacy. Edit multiple photos in a few clicks the fast and easy way. Forget about single selection. This action adds a new location, which will be available in iOS Photo library. 1. Select the "Edit location" action on the first screen. 2. Select one or multiple photos (videos) on the second screen. 3. Set the desired location by placing pin on map. This action keep the original photo and create duplicate copy without GPS location info, which one you can share. The EXIF metadata will be clean in this case. There is no location info of this photo in any app. 1. 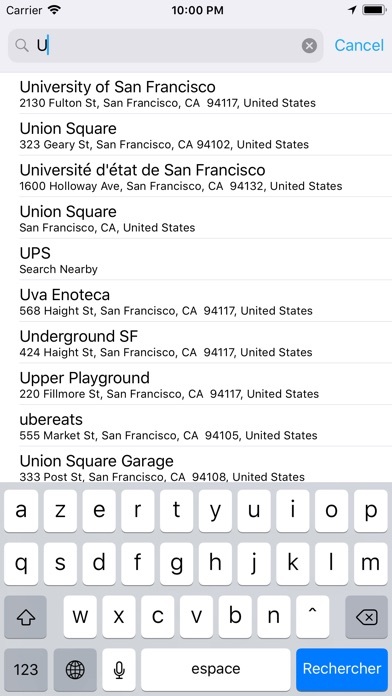 Select the "Delete location" action on the first screen. 2. Select one or multiple photos on the second screen. • “Select all” button is here! It helps you to select all photos in the album just in one tap. I’d got many requests for that, here we go! I always try to do my best for keeping all PhotoMapper users happy. It sounds easy, but it took a lot of nights to make it work. But I believe all this work will boost up speed for delivering next features that I got from you. I put all your requests in my TODO list, so nothing is missing. I appreciate all your feedback. Please, rate my app if you like it!